It is a massive compliment to Leinster Rugby that the side they have named this weekend is so loaded with quality given the personnel changes from last weekend’s decisive win over Connacht Rugby. Conscious of the six day turnaround between this fixture and their European Cup fixture against Wasps next Friday night, Cullen and Lancaster have decided to rotate the squad. Sexton is omitted from the match day panel with Ross Byrne slotting into the fly-half position. 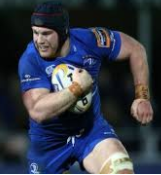 Sean O’Brien starts his full game for Leinster Rugby this season at eight; a nice positional switch to run the rule over the Tullow native and whether he can provide depth chart support in this position. The pack is fundamentally altered as the front row is completely replaced. McGrath, Tracy and Bent come in and James Ryan is included in the second row. The back row sees Josh van der Flier (sub), Jack Conan (omitted from the squad) replaced by Dan Leavy and Sean O’Brien. Massive squad depth in the back row unit. The back line is also changed with Robbie Henshaw and Rory O’Loughlin coming into the three quarters to replace Garry Ringrose and Joe Tomane. The back three sees Rob Kearney win his 200th cap for the province and will have Fergus McFadden and James Lowe on the wings. A potent outfit. Munster Rugby have had a wretched season thus far on the road. Two comprehensive losses to Glasgow Warriors (round two) and Cardiff Blues (round four) has the side on alert not to produce another dismal performance away from Thomond Park or Irish Independent Park. On the face of it, this is as near full strength a side that Munster could name. Murray continues to be a long term absentee (injury unknown). The pack is loaded with international talent and no doubt Peter O’Mahony will be keen to highlight the post-game comments of Reggie Corrigan last season who asked whether Munster Rugby players had given everything to the cause in this fixture last year. This is a fixture that Munster Rugby must turn up and deliver a performance. There are intriguing battles everywhere on the pitch; effectively a national team trial on Saturday evening. The pack battle looks tasty. A mobile and physical Leinster Rugby front five comes against a Munster Rugby pack who have the likes of Kleyn, Beirne in their ranks. The half-back battle also looks interesting. Ross Byrne will relish the challenge of Joey Carbery tomorrow. Carbery has provided some memorable cameos in open play but tomorrow will be about game management and decision making has to be on point tomorrow. Byrne is such a solid operator. Joe Schmidt will be keenly observing developments. The three quarter battle as well looks potential exciting. We all know about Henshaw and his quality but it is a good opportunity to see the other players in this position. Rory O’Loughlin is highly rated in the Leinster Rugby ranks and another chance of shine tomorrow. Munster Rugby have gone for youth and it is good to see Dan Goggin and Sammy Arnold getting a massive opportunity to impress in such a marquee fixture. Munster Rugby need to deliver a performance and win this fixture tomorrow. Leinster Rugby with their team selection have slightly opened the door for the Southern province to come into the Aviva Stadium and win this contest but it will require Munster Rugby to be clinical in the fundamentals. A loss here and Munster Rugby’s season could be dealt a massive blow ahead of European Cup action. Leinster Rugby will execute to a high level; the focus is whether Munster Rugby can do that and more. Munster Rugby look to have more potent weapons to come off the bench but their record against Leinster Rugby has being wretched. I thought Leinster Rugby would win this before team selection but the team news has shifted my mind to Munster Rugby but it will be a narrow, narrow win. Carbery needs to step up to the plate. Leinster Rugby: On a different level? Apologies for the delay in a blog posting on the utterly dominant Leinster Rugby performance against a well fancied Scarlets side yesterday. 38-16 was a clinical performance and like Munster today, Scarlets did not lay a meaningful shot on their opponent during the game. Hawkeye Sidekick reflects on the performance. If you read my preview on the Leinster Rugby / Scarlets fixture, a key person in this contest was Gibson-Park. The scrum-half had huge pressure on his shoulders coming into this fixture; his inclusion meaning that in form James Lowe was forced to sit out. An indifferent game against the same opposition last season in Pro 12 playoff action raising questions on whether the New Zealander could produce. He emphatically answered those questions; his passing was on point, his aerial kicking excellent. Gibson-Park did get immense support from his pack who cleared out rucks in sensational fashion negating any threat from Barclay or Davies to proceedings. Luke McGrath’s injury was seen as a blow but the performance of Gibson-Park was on point. Mission accomplished. James Ryan is increasing his profile in the game with another emphatic performance. His performance along with Devin Toner was nothing short of sensational; superb work rate, carrying and line out execution. A superb opening try as well. Ryan negated the threat of Tadhg Beirne. The player’s upside is only the tip of iceberg; this player has the ability to be the number one second row in the world in time for the RWC 2019 tournament. Special nod to the front five as well. Furlong, Healy and Cronin were excellent throughout. Furlong’s work rate was ferocious and set the tone. Healy, abrasive at set piece and scored a great try in the second quarter. Cronin in set piece and his running lines on point. Toner as well was superb; good line out management along with Ryan. Fardy, Leavy and Murphy providing physicality and mobility to clear out Scarlets at the breakdown. Fardy was world class. Sexton was sensational yesterday; his match-up against Dan Jones was emphatically advantage Leinster Rugby and he launched his three quarters with incredible accuracy. Sexton’s bicep injury will see plenty of column inches in sporting articles for the rest of the season but this was a performance which oozed class, oozed experience and composure in the play making role. Sexton rises to the occasion at this time of the season. Bilbao against his old club Racing 92 will be an intriguing plot line. No defensive weak links in the Leinster Rugby back line contrary to Shane Williams’ beliefs in the lead up to this fixture. Ringrose and Henshaw absorbed the threat of Parkes and Williams and created with intent particul arly in the third quarter when Scarlets defensively opened up. Sharp offloading. Henshaw’s defensive work was on point; amazing performance considering his lengthy injury layoff. Nacewa, McFadden / Larmor and Kearney provided a good back three threat and defensively were on point throughout; the fact that Scarlets did not their try until the final minute was an incredible defensive display from everyone in the Leinster Rugby side! With the game safely in the bag, Leinster Rugby management cleared their bench in the third quarter. Jack McGrath, Joey Carbery, Jordan Larmor providing key cameos. This was valuable experience and game time for the bench ahead of the final against Racing 92. Andrew Porter’s performances in the front have being nothing short of sensational. There is zero weak points in this twenty-three man squad for Leinster Rugby. Squad players will be given their opportunity to impress in the lead up to the final but this twenty-three man squad delivered an emphatic performance, put a dangerous opponent out of reach well before the final quarter. Racing 92 have their hands out in Bilbao! After the demolition of the South African challenge, Ireland reset focus to face Fiji at the now sold out Aviva Stadium this weekend. Hawkeye Sidekick previews Ireland’s next opponents. Fiji have played seven internationals this calendar year. The calendar year saw a 37-14 loss to Australia in Melbourne but the side then bounced back and beat both Scotland and Italy in tight encounters. The Pacific Nations Cup took place in July and Fiji beat Samoa comprehensively before defeating Tonga 14-10. Italy exacted some revenge for that summer loss with a hard fought 19-10 win at Catania. Decent form but the lack of international games for Fiji and for the rest of the Pacific Island nations are doing little for the development of these squads. Ireland have to be careful this weekend when to go expansive. Fiji love the open field, slick offloading in the tackle and quick ruck ball are paramount to their game plan. Leone Nakarawa ticks all these boxes and much more. The Racing 92 second row is a sublime player. Physicality yet finesse. Set piece effiency with speed of thought and an offloading game which is a manual in how to play the game. Akapusi Qera is a legend for the national side. The flanker has had a distinguished international and club career playing for the likes of Gloucester, Toulouse, Montpelier and now Agen. His physicality, tackle count and breakdown skills will look to win turnover ball for his side to unleash fast counter attacks. Vereniki Goneva should see some game time this weekend and his threat out wide will need to be quelled by Ireland. His powerful initial burst of pace is hard to stop and his try count for club and country is excellent. Another distinguished player who has played with several English club teams with distinction. What to expect from Fiji this weekend? It all depends on the weather in Dublin this Saturday. Dry track conditions will mean that Fiji will be able to showcase their undoubted running and offload game to full effect. The Italian game saw flashes of brilliance from Fiji with some potential decisive line breaks only to be quelled by poor ball handling or discipline. Nakarawa’s try was superbly executed; all down to the mercurial second row whose running line from thirty meters proved too good for the Italian defense. The Italians did provide evidence of areas to exploit in the pack exchanges; defensively the fringes were a source of easy gain line yards for Conor O’Shea’s side. Furthermore, a better side would have punished Fiji in the red zone on several occasions. Several excellent scoring opportunities presented themselves for the Azzuri only for ponderous game management or lack of incisive running lines to kill any momentum. Expect a Fiji side who will look to attack from deep; the kicking game from Ireland needs to be on point this weekend as failure to do so will allow Fiji’s primary ball carrier to gain excellent field position. Fiji ultimately I suspect will be exposed on the set piece; question marks on the defensive setup for mauls. Their defensive shape was very tight against Italy and one would presume that Ireland would be better at expanding field position when required. This is an international which will hopefully create plenty of try scoring opportunities. The chance to see the likes of Leone Nakarawa in the flesh, offloading with three Ireland players on his case will be a joy to watch. Roll on Saturday!